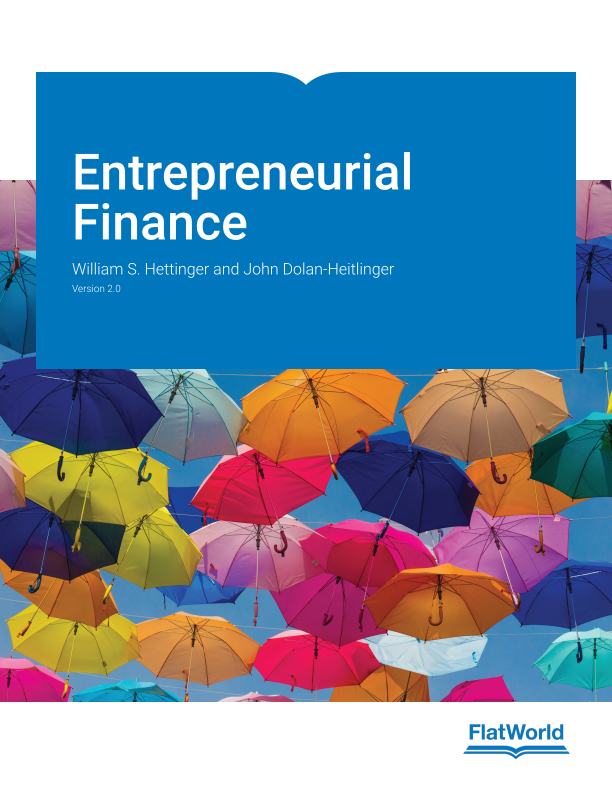 Entrepreneurial Finance is an easy-to-understand for finance book which covers the fundamental basics of finance. It presents key concepts in a straightforward, consistent manner and clearly explains what key financial information means and how to use it effectively to plan, launch or run a business. Throughout the book, Hettinger and Dolan-Heitlinger use case studies that are representative of the business that students are likely to encounter in the real world, including a retail shop, small manufacturing business, and medical office. Describes how to perform financial calculations, what they mean and how to use the results to compare a business to itself, competitors, and the industry over time . Includes how to do basic ratio calculations and discuss the ratios typical for various industries and how to find comparative ratios. Fully functional Business Forecasting Model included to facilitate the projection of financial statements. Key chapter focuses on management decision tools (ROI, Breakeven, Benefit-Cost Analysis, NPV, and IRR). 11.6 Is Boutique Handbags Efficient? Chapter 12: Can You Pay Your Bills? Chapter 13: Can You Pay the Bank? 20.4 How Much Money Does A Business Need? 22.4 How Fast Should You Grow? 24.4 Can You Sell That Many? William S. Hettinger is an internationally known educator and consultant with more than twenty-five years’ experience in finance, entrepreneurship, real estate, and leadership. He is a principal at the Institute for Finance and Entrepreneurship and president and founder of Prosperous Communities, a housing and economic development consultancy. He has taught finance and entrepreneurship to graduate and undergraduate students for over a decade and is currently an adjunct professor at Albertus Magnus College and Bay Path University. Dr. Hettinger has been featured in publications including the Wall Street Journal, Bloomberg Businessweek, CBSNews Money Watch, the Associated Press, and the Kauffman Foundation’s Entrepreneurship.org. He has also been a guest on NPR and numerous local TV and radio shows. Dr. Hettinger earned his Ph.D. in International Development from the University of Southern Mississippi, where his research focused on resident housing in resort communities. He also earned an MBA from Rensselaer Polytechnic Institute and a BA in Mathematics and Economics from the University of Buffalo. His research interests include professional financial literacy, market failures, and workforce housing. John Dolan-Heitlinger is a nationally known consultant and business executive with more than twenty years’ experience as a CEO and senior executive in financial institutions. His national consulting practice assists financial institutions and small businesses with governance, planning, financial management, mergers, and regulatory issues. He has chaired and served on many civic, not-for-profit, and government boards. Mr. Dolan-Heitlinger earned his MBA from the Johnson School at Cornell University and a bachelor’s degree in history and economics from SUNY Potsdam. He is a nationally recognized speaker and regular contributor to professional journals. He is retired from the U.S. Coast Guard Reserve as a Commander.